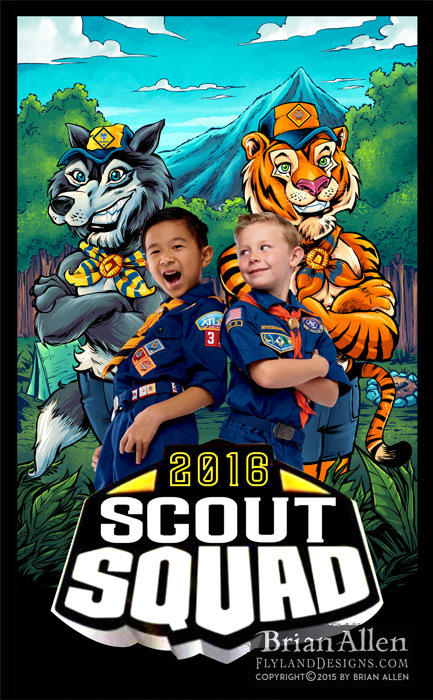 I was thrilled recently to work with Boy Scouts of America illustrating their Bear, Wolf, and Tiger mascots for a catalog that went out to all troops nationwide. 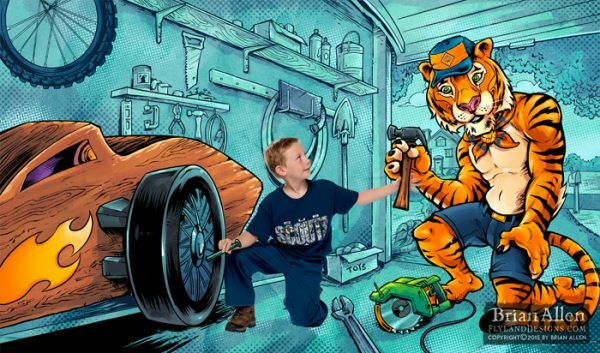 We created illustrations that blended real studio photos of kids in Boy Scouts gear, and drawn into a comic book background. 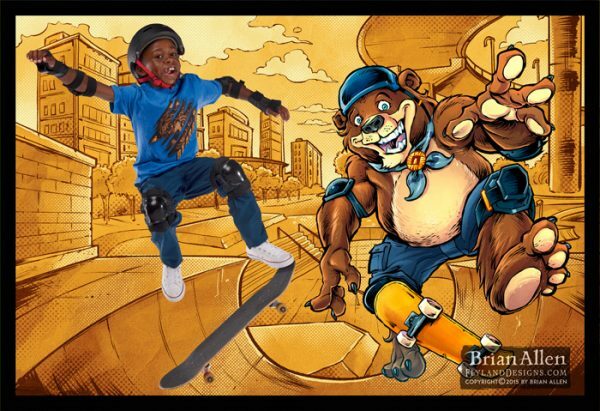 The marketing team hired me to reinvent the existing mascot illustrations in my own style. I was a Cub Scout long ago, so it was a lot of fun to leave a little mark on the organization.